In this article in the Times of Israel, I read what seems to be another example of moral idiocy regarding Hitler in a letter by British philosopher Bertrand Russell which was recently acquired by the Museum of Tolerance, a part of the Simon Wiesenthal Center. In this 1937 letter, he suggests that if the Germans invade England, the English should invite their leaders to dinner with the Prime Minister rather than fight them. Not everyone may be familiar with the life and thoughts of Bertrand Russell, so before going any further, I had better say a few words about him. Bertrand Russell was, as I said, a British philosopher and mathematician who lived from 1872-1970. He was born into an aristocratic British family, but both his parents, who died when he was young, were radicals and atheists. Raised by his paternal grandparents and educated at home by tutors, Russel had a lonely childhood and adolescence, but developed a keen interest in mathematics. He studied and later taught at Cambridge where he also was interested in logic, philosophy and social criticism. At various times, Russell described himself as a liberal, a socialist, and a pacifist. He was not very consistent in holding any of these social and political views, however, and might be better described as a gadfly. He led demonstrations against World War I when it was not popular to do so, but he was never imprisoned for his activities, as he hoped. As his letter might suggest, he was no more eager for Britain to fight against Hitler. The Museum of Tolerance has acquired a 1937 letter written by Bertrand Russell in which the Nobel Prize-winning philosopher says if the Nazi army invades his native England the British should invite Adolf Hitler to dinner rather than fight. The museum, part of the Simon Wiesenthal Center, announced Wednesday that it paid $4,000 for the letter at an auction in England last month. Rabbi Marvin Hier, the Wiesenthal Center’s founder, says Bertrand’s letter will be placed in the museum alongside one that Hitler wrote in 1919 outlining the anti-Semitic views that would lead to the Holocaust and killing of 6 million Jews. The museum’s mission is to educate people about the Holocaust and challenge them to oppose discrimination in all forms. The Russell letter is important, Hier said, because it warns future generations that even a distinguished scholar can be wrong in allowing evil to go unchallenged. Russell, one of the 20th century’s leading pacifists, eventually changed his views on Hitler. Such behavior certainly would baffle any invader. Most of the German soldiers would be relieved not to have Englishmen shooting at them. They might even be inclined to be relatively kind to a subject people who didn’t fight back. The sadists, there are some in every army, would take the lack of resistance as sign that they could commit atrocities without fear of retribution. Hitler and the Nazis would have regarded British nonresistance with contempt regarding it as a sign of racial inferiority. No matter how the occupiers behaved, however, Britain would still be occupied. The British would still have to cooperate hunting down their Jews and the resources of the United Kingdom would still be used to further Hitler’s ambitions. To be fair to Bertrand Russell, he did change his mind about a war with Hitler, as the article suggested. It was also to his credit that he never supported the Bolsheviks in Russia, as so many of his fellow intellectuals did. In fact, after World War II, Russell even proposed that the United States launch a preemptive nuclear war against the Soviet Union, while we still had a monopoly on the atomic bomb. Of course, this proposal showed him to be as clueless about the real world around him as did his idea of inviting Hitler to dinner. Also, to be fair, in 1937, when the letter was written, it may not have been clear to everyone that Hitler was a monster. 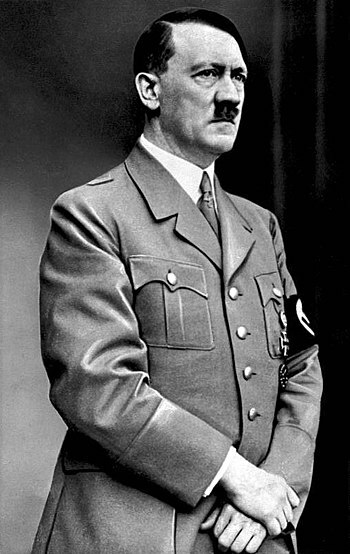 He was a dictator who ruled by force and terror and he persecuted the Jews. 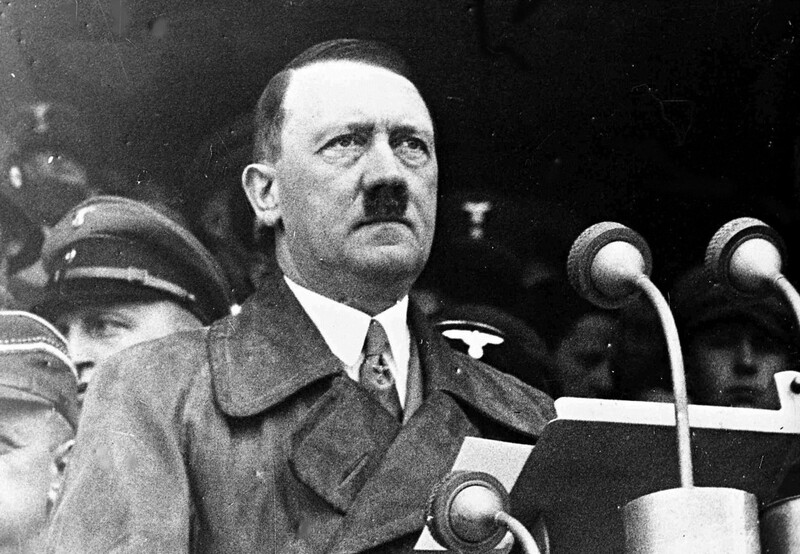 Hitler was also genuinely popular with the German people, and he seemed to be doing Germany a lot of good. Hitler’s regime was not nearly as oppressive as Stalin’s. Hitler did settle scores and purge the Nazi party upon obtaining power, but his Night of the Long Knives was a mere trickle of blood compared to the oceans of blood in Stalin’s Great Purges. As for the Jews, the campaign of extermination did not really begin until 1941. The Jews had been stripped of German citizenship and were slowly being excluded from German public life, but until Kristallnacht in 1938, it could be argued that the Nazi treatment of the Jews was not much different from the American treatment of African-Americans, especially in the segregated south. 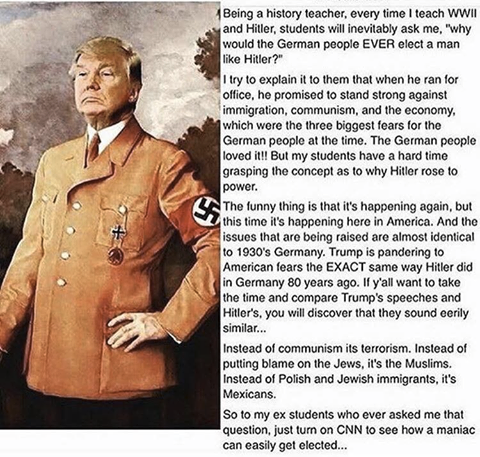 But no, this will not work.The average person in Britain, France, or America could not be expected to know very much about Hitler and his regime in 1937. They had their own problems trying to survive the Depression. Bertrand Russell ought to have known better. As a man who was not shy about giving his advice on nearly every subject and who was Britain’s preeminent public intellectual, he certainly should have been better informed. It is not as if Hitler really tried to conceal his ultimate intentions. It seems to be very odd that there is some sort of inverse relationship between the amount of a certain type of intelligence some people possess and the lack of judgement those same, otherwise intelligent, people have regarding basic human nature. 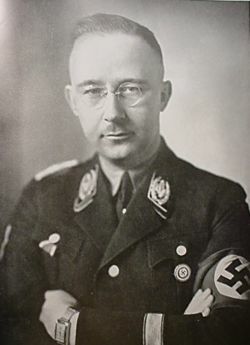 I wonder why it didn’t occur to Russell that if Hitler had some grievance against Britain that justified, in his mind, a war and invasion, he would hardly be swayed by dinner and drinks into giving up and going back to Germany. But, perhaps mathematics and logic are easier to understand than people.